Giant razor-maker Gillette got itself into a bit of a tough scrape with a new, nearly two-minute-long ad promoting the ideals of the #MeToo movement. 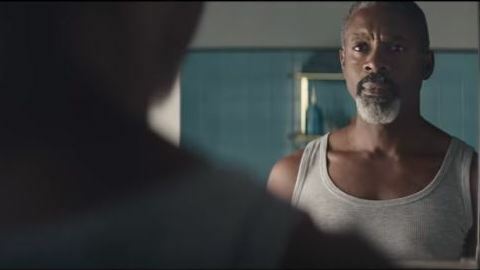 For over a century, Gillette has championed the Alpha Men who use its razors, including, its ads have claimed, "all the world's rulers," and "the millions of big, strong-limbed supermen who are fighting to save freedom." But a new ad released in advance of the Superbowl, cuts the other way, channeling the #MeToo movement and undercutting toxic masculinity. The first half of the ad portrays males as boorish, sexually harassing women, mansplaining, and bullying. About midway through, the narrator proclaims something has changed and "there will be no going back." "You can't hide from it. You can't laugh it off, making the same old excuses," the narrator intones, as a long line up of men shrug, "boys will be boys." Then, the ad exalts men who "say the right thing" and "act the right way," as it showcases caring and empathetic men who intervene to stop friends — and strangers — from cat-calling or bullying. "It's only by challenging ourselves to do more, that we can get closer to our best," the ad concludes, in a twist on its decades-old tagline "The Best A Man Can Get." "I'm researching every product made by Proctor and Gamble, throwing any I have in the trash, and never buying any of them again until everyone involved in this ad from the top to bottom is fired and the company issues a public apology," tweeted @JoeS3678. Others have blasted the company for "crapping all over" the guys who've supported the company for a century, and "gender shaming" men. "Stop trying to emasculate men!!" @angelsvoice66, tweeted to Gillette. "Let them be men!" A Fox News commentator asked "Does Gillette want men to start shaving their legs, too?" But others have shot back, suggesting those most offended might be those who most need to heed the message. "Wow somebody got triggered, You okay there snowflake?" @kirrasdad tweeted back to @JoeS3678. "The ad is just suggesting we try to be better people in my opinion. If it threatens you to the point of hatred, you may want to think a little about that." For its part Gillette says its goal was to spark discussion, and it takes heart in seeing that happening. In an earlier statement launching the ad, the company seemed to be anticipating some of the backlash, noting that, "in a world where the actions of the few can taint the reputation of the many, we know there's work to be done – together." It remains to be seen how the ad impacts sales. It comes at a precarious time for the company, as Gillette faces stiff new competition from start-up subscription clubs like Dollar Shave Club and Harry's. But ultimately, the Nike's controversial ad did not hurt its sales. Counter to some fears, the controversial ad drove a spike in sales, social engagement and online buzz, that all helped the company emerge from a slump. No longer can companies, "just advertis[e] product benefits," the Gillette spokesperson says in the email. These days "brand building" also means taking a stand on important societal issues, controversial as they may be.